BROMSGROVE are set to face one of their toughest tests of the season when they go up against Hinckley at Finstall Park this afternoon (Saturday). 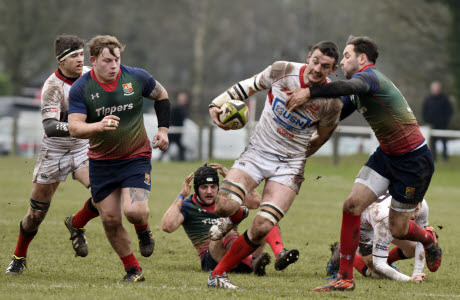 Dan Protherough’s side have made an impressive start to their National Three Midlands campaign as they are one of only four teams to win their opening three games. After edging Sutton Coldfield 32-31 in their first fixture, the Boars have defeated Birmingham & Solihull 17-14 and beat Syston 17-3 last Saturday. But Hinckley have also been in scintillating form having put more than 40 points past Sutton Coldfield and Birmingham & Solihull and they will be keen to make it four wins from four at Bromsgrove.